Yes, I am a complete nerd. 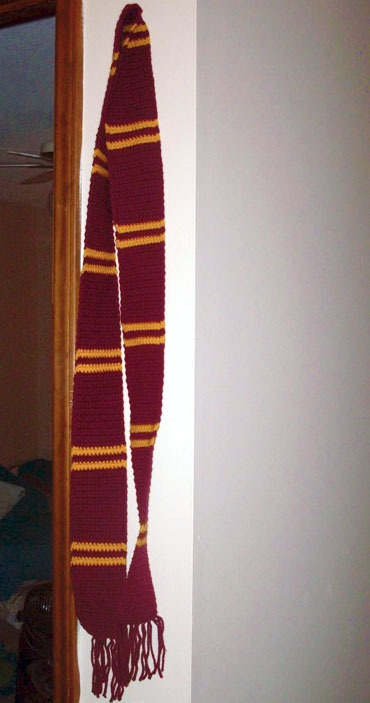 I made these Gryffindor scarves for HP book and movie releases. The one on the left is the style they had in movies 3+, and the one on the right is the style they had in the first 2. Easily made if you know how to change colors and make rectangles, instructions for both of which are on this site right here! I can’t find the pattern. What am I missing? This wordpress theme is faulty in that the link color is almost black looking and doesn’t show up well. 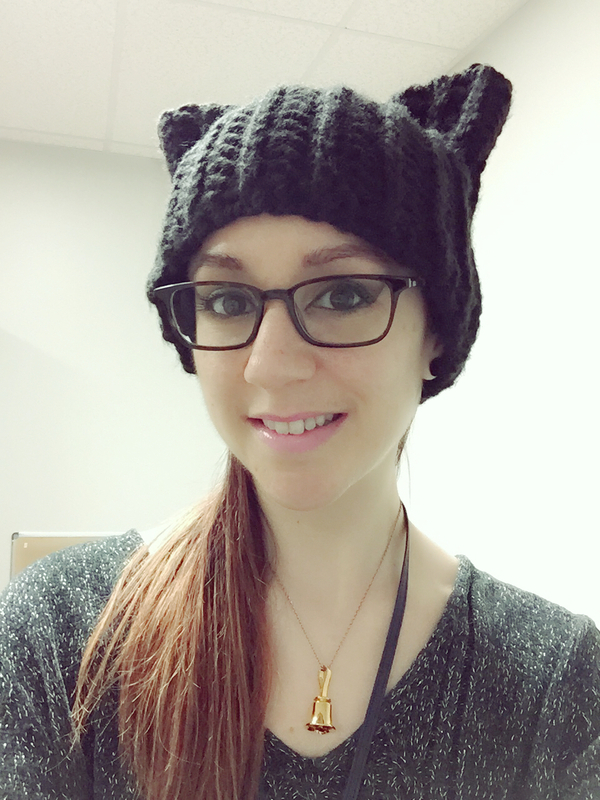 Here it is: https://notyouraveragecrochet.wordpress.com/how-tos/patterns/harry-potter-scarves/ Hope you enjoy! That link, same as the one above, is bringing us right back to this page. I have been wanting to make the yr 3+ one forever! Thanks for the pattern! 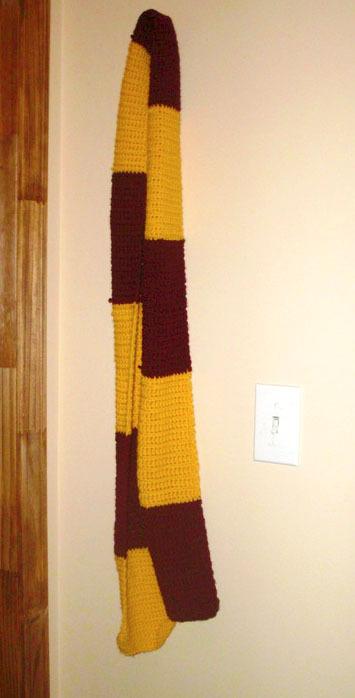 I really want to make one of these scarves. Thank you for the pattern! But how much wool did you roughly use for each one? For the crocheted ones, I honestly don’t remember. It’s been a while! I don’t think I used more than 1 skein of Red Heart for each color on the block style, and the one with the stripes I think also managed to have just 1 skein of the red and some leftovers of the gold. Hope that helps, sorry I don’t remember more specifics! how many balls of yarn are needed? one of each color or more? For these I believe I used just 1 skein each of the burgundy & gold in Red Heart Super Saver yarn, but it’s been a long time — the one with more red might have taken 2 skeins of the red.